Buy More Poly Mailers Save More! 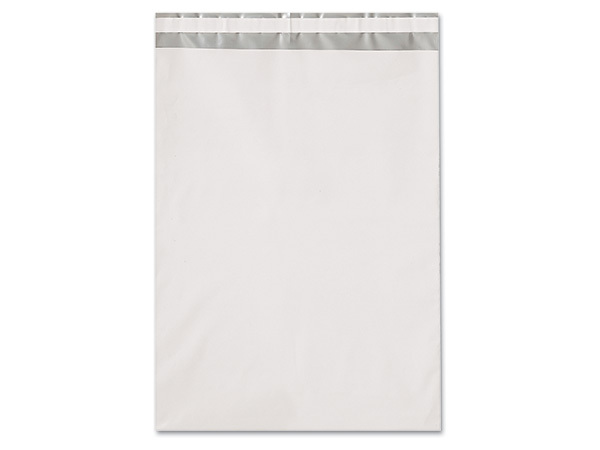 These mailers are made of 2.5 mil COEX (co-extruded) white and silver polypropylene. Co-extrusion creates a non-see through material and the tamper evident peel and stick seal provides security. Tear, puncture and moisture resistant material keeps contents safe during shipping. Can be custom printed and are available in custom sizes and colors. Call our custom print department for details.